The Mark Bass New York 151 RJ Cabinet is a Randy Jackson Signature Cabinet with 15" speakers by Markbass. 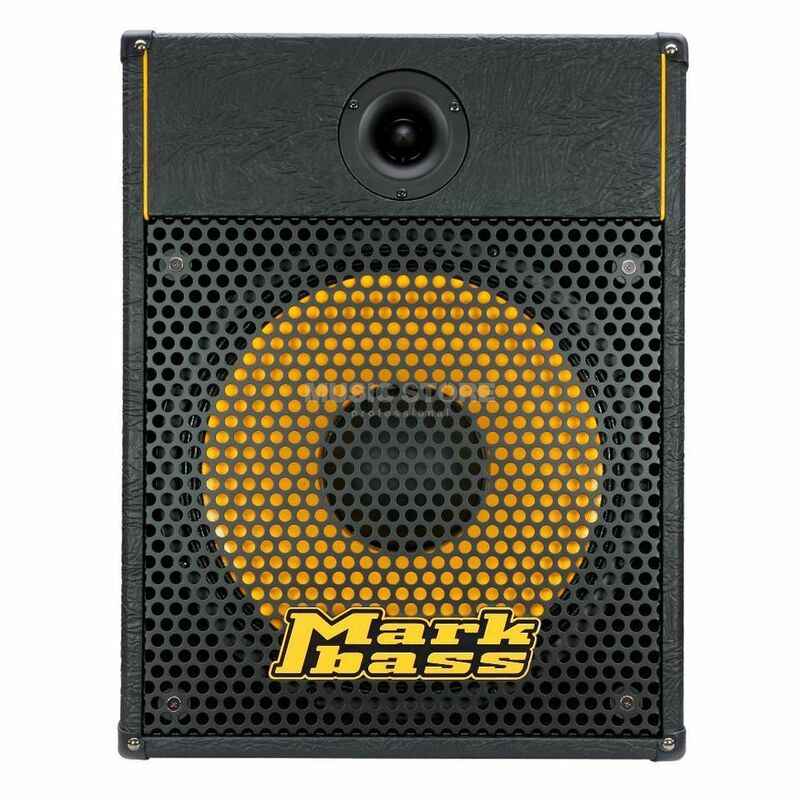 In cooperation with Markbass, Randy Jackson developed this bass-box, which is equipped with a 15 "loudspeaker as well as a 1.25" tweeter and can be recognized immediately as a Markbass product despite its independent look. The Markbass New York 151 RJ delivers a full, warm tone that offers a surprising amount of clarity and transparency especially with its depth and excellent definition. Like all the MarkBass cabinets, this model is light making it portable and easy to transport.